I came home tonight and spotted a card from Royal Mail, who’d left a special delivery with a neighbour. I’ve already had all of my Christmas presents, so I had no idea what it could be. I love a surprise, and this one was no exception. 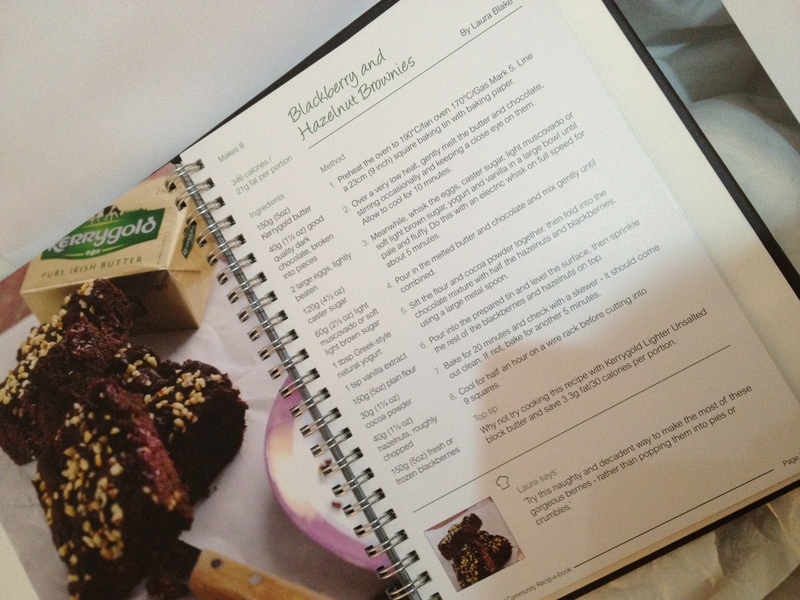 It turned out to be my very own limited edition printed copy of the Kerrygold Community Cookbook with my very own recipe and name printed in it! You might remember I posted a little while ago about how thrilled I was about my Blackberry and Hazelnut Brownie recipe being selected by Rachael Allen to appear in the book. Receiving a real copy put a huge smile on my face; just what I needed with a house like a bombsite/cardboard box shanty town in the middle of getting ready for The Big Move! I feel like it’s a small testament to how far I’ve come with my baking in the past couple of years – from a few higgledy-piggledy cupcakes once every six weeks or so, to taking on technical bakes like macarons, tarts and fiddly fondant icing, and creating my own original recipes. I owe a lot of that to the wonderful encouragement, advice, tips, and general loveliness I’ve had from friends, tweeters, and many talented bakers and bloggers, so thank you. If you’d told me 5 years ago – when my favourite late-night snack was pasta with tomato ketchup (mmm, starchy) – that I’d be creating food like this, I would have laughed you out of the room. It’s safe to say, then, that this little beauty will take pride of place on the kitchen bookshelf of my new flat and serve as a gentle reminder that even culinary caterpillars can turn into butterflies. It wil also serve as inspiration – there are some gorgeous recipes in there! 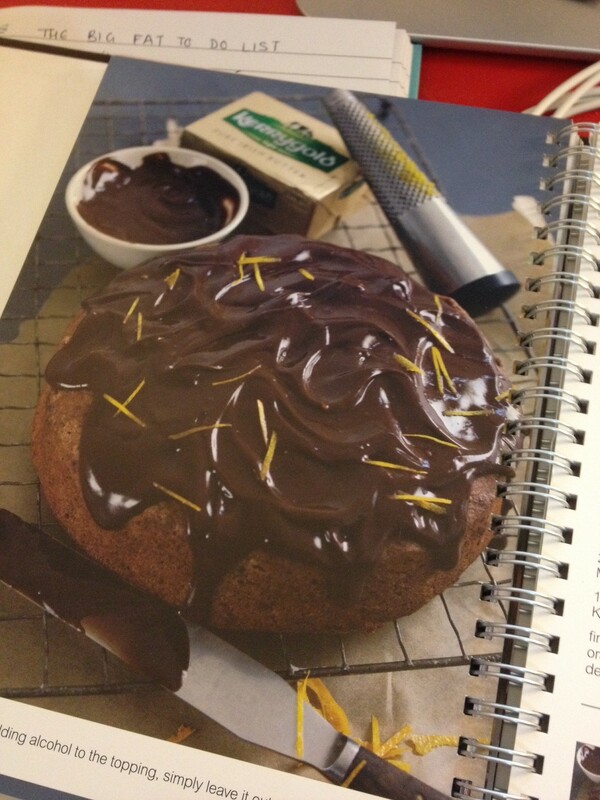 And Bill King’s Triple Chocolate Orange cake sounds delightfully indulgent. 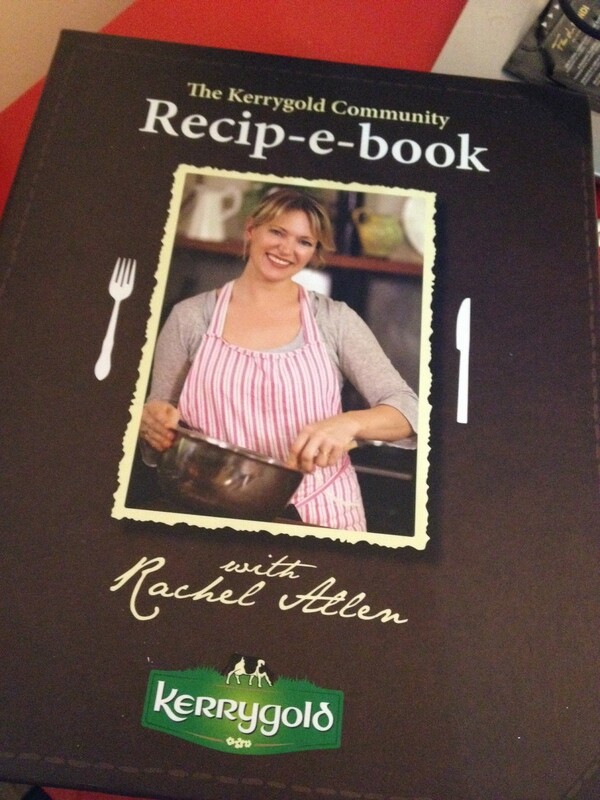 There are also tons of gorgeous savoury dishes, and lots of recipes from Rachel Allen herself. The best bit about it is that you can download your very own copy for free! 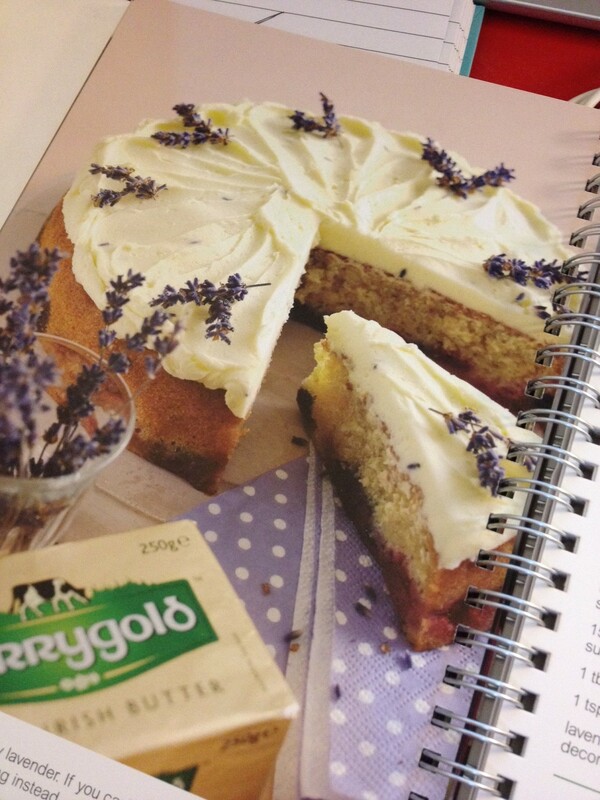 Just visit the Kerrygold facebook page and click on the ‘recip-e-book’ tab. Happy cooking! Congratulations! You must be bursting with pride!